William Cook are a second generation antique business that deals in fine quality furniture, objects and works of art that have been carefully selected for their colour, surface and originality. Located in the English market town of Hungerford and the American city of Charleston, we have a worldwide clientele and exhibits at major antique fairs both in England and America. 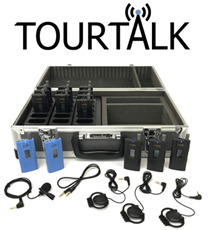 Tourtalk is a portable short-range wireless system used to transmit an audio message from a presenter to an audience. The presenter speaks into a radio microphone transmitter and the audience use lightweight receivers to hear the message. Tourtalk systems are used by places of worship and heritage sites around the UK and abroad. Applications include guided tours, hearing support and simultaneous interpretation. We create and restore fine architectural metalwork for some of the most architecturally sensitive sites in the world. We thrive on the demanding technical challenges set by the heritage sector and implement the National Heritage Ironwork Group (NHIG) Conservation Principles. 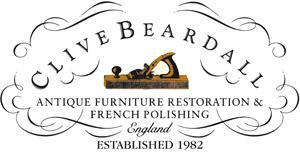 Established over thirty five years, Clive Beardall Restorations Ltd are a small firm with experienced craftsmen dealing in all aspects of the antiques trade. Their experience and advice on any item, however large or small, can guide you about the value of your antiques and the cost of restoration. Established in the 1950’s to manufacture research equipment for Oxford University Littlemore Scientific have gone on to produce a variety of specialised machinery and instruments. to some of the most prestigious properties in the world. The Lead Sheet Association is at the forefront of training and technical advice in the use of Rolled Lead Sheet to BS EN 12588 in the construction industry. Our technical experts provide guidance and advice on a daily basis for those using Rolled Lead Sheet – including specifiers, major contractors and individual installers. We also run a range of courses for contractors and installers, from basic, to more advanced and specialist programmes supporting the heritage industry. Clive Payne's showroom and workshop in Kingham, Oxfordshire displays over 400 items of Mason's Ironstone China and a selection of period English furniture. 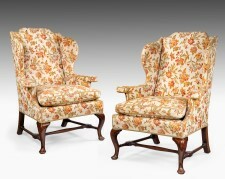 The current stock also includes items from Winsons Antiques, as well as many pieces of bespoke furniture. Astor & Mallet provides an extensive selection of hand-carved architectural motifs, decorative mouldings, and ornamental woodcarving to architects, decorators, cabinet shops, furniture makers, carpenters, and homeowners. Our products are made-to-order and hand-carved to the highest quality. papers to Museums, Galleries, Libraries and Archives worldwide. distribute products specially designed for timber sash windows. sash and casement windows in Scotland and Northern Ireland.